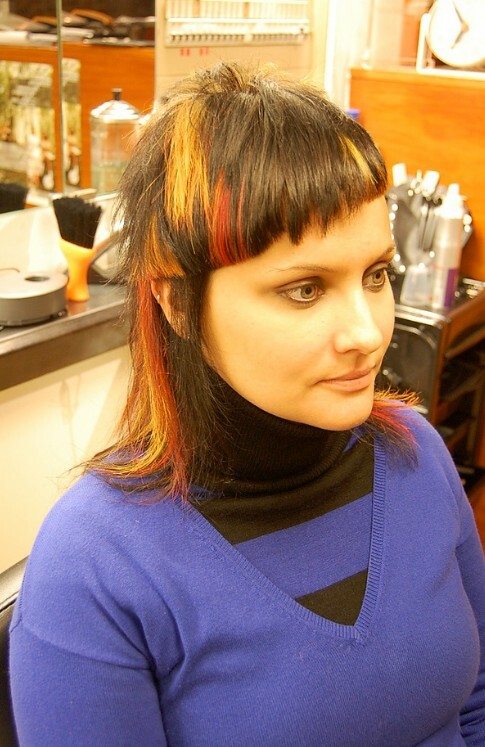 This avant-garde hair design is an exciting fusion of Sabine’s incredibly creative cutting and Birgit’s equally imaginative colouring technique! 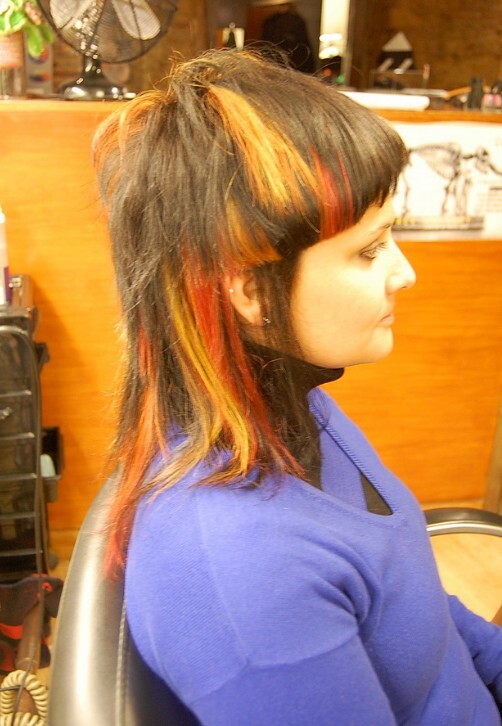 The back is razor cut into long layers with a shaggy ends, tapered down to the longest length between the shoulder blades. In the area directly around the crown, the hair is cut very short and stands up like a circle of flickering flames! At the front, the hair is one length and combed forward to form a sharply angled fringe, which on one side has a strong, straight edge continued around the side to a point just past the ear. One of the underneath layers has been left long on this side, to hang down below the fringe at the front of the ear. On the other side, a small section of the head is shaved at the temples, forming a textured triangle beneath the higher side of the angled fringe. 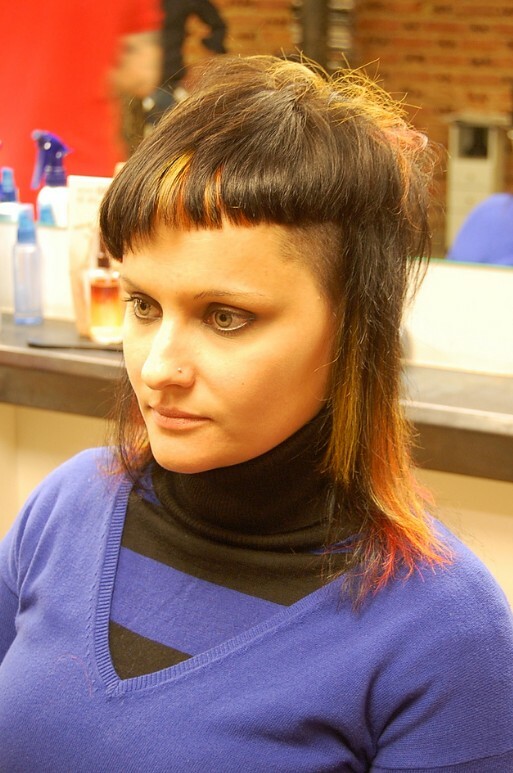 The straight-edged fringe is broken up by a short section with wispy ends over one eye. 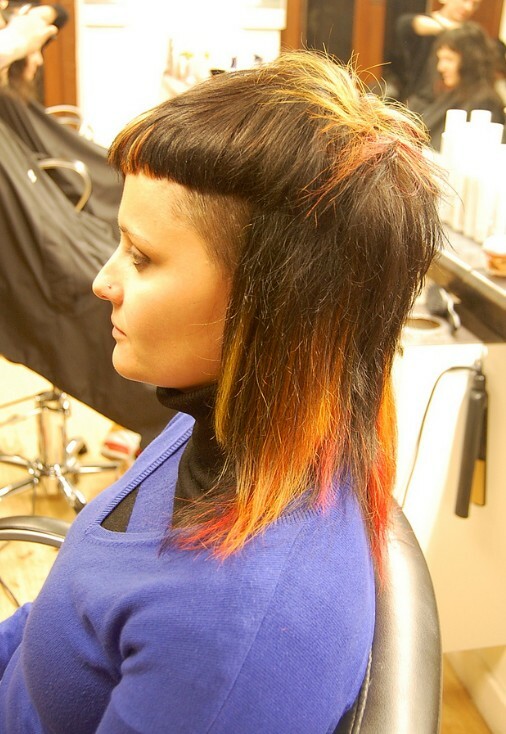 Birgit’s exuberant colour scheme – inspired by the dangerous, but beautifully rich colours of fire – complements the varied textures and lengths of this highly original haircut perfectly!